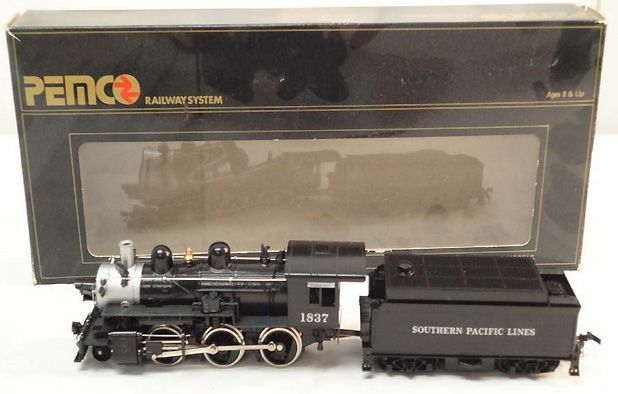 The production run Pemco Santa Fe 2-6-0 Mogul is pictured above, the catalog image had what appears to be a Southern-green steamer with A.T.&S.F. on its cab in white and the number 7809 in large white letters on its tender. 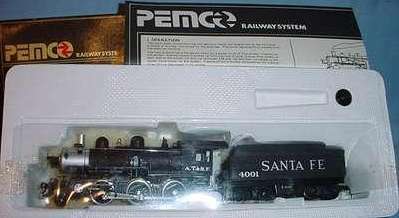 To date, I have not seen a green Santa Fe 2-6-0 and assume it to be a pre-production model. 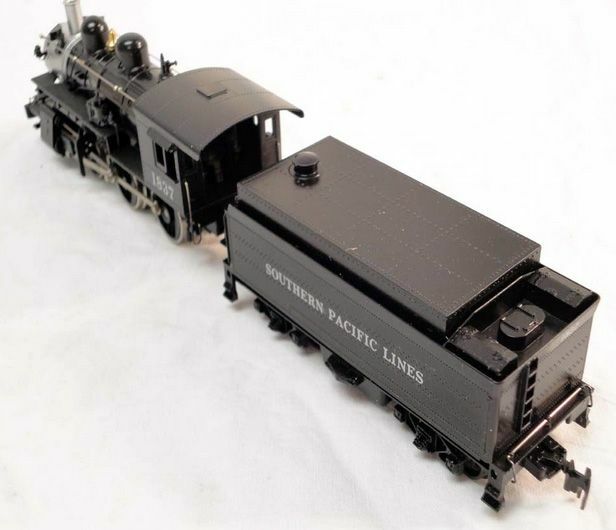 The Pemco 2-6-0 Mogul was powered with a tender drive, very similar in design to that used by TYCO at the time. The model was later included in IHC Hobby's catalog and was a product of Mehano in Yugoslavia.